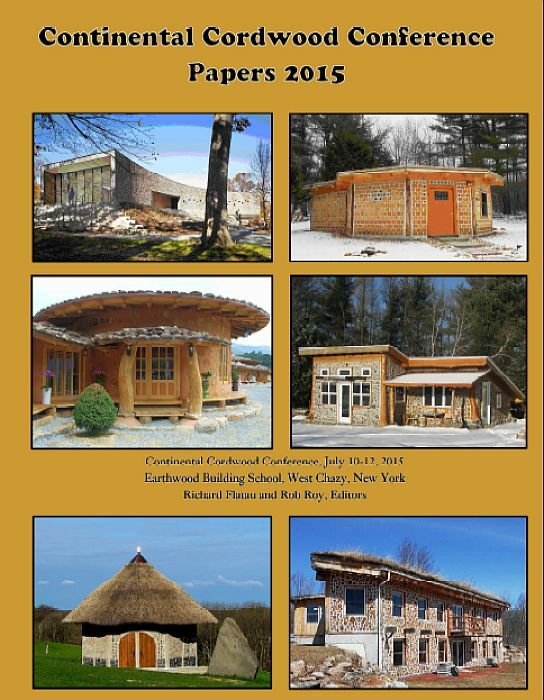 The 2015 Cordwood Conference was held near Plattsburg, New York on July 11-12, 2015. 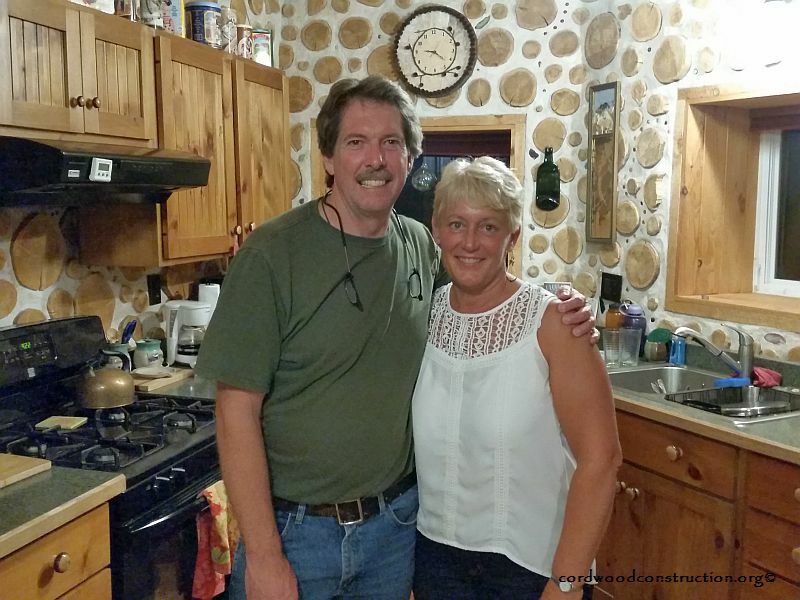 It was hosted by Rob and Jaki Roy of Earthwood Building School. 35 wonderful souls attended and had an outstanding time learning, sharing and networking. A set of papers was developed over the of winter of 2015. Richard Flatau and Rob Roy edited the papers, collated them and sent them to the printer. Written by 19 different authors. there are 136 pages and 242 inspirational, color photos. 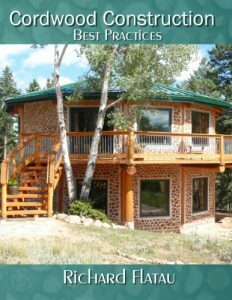 Examples of articles are: “Cordwood in the round, the Rendezvous Cabin, Ravenwood, Kinstone Chapel, Adirondack Cabin, Cordwood in Sweden, Korean Soil Houses, Special Design Features at Driftwood, Cordwood Flooring, Cordwood Classroooms in Guatemala” and so many more. 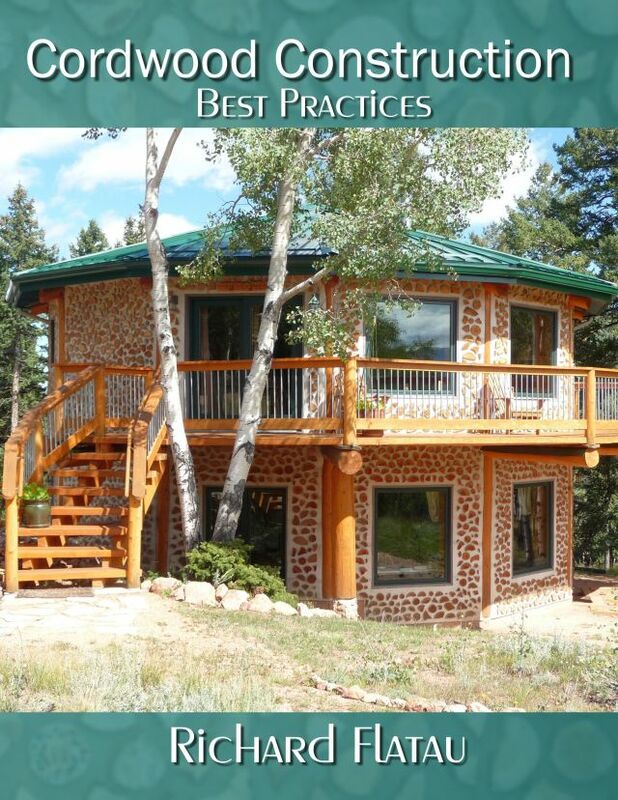 This is a significant addition to the ever expanding cordwood library. You can have your very own copy in print or ebook format…visit https://www.daycreek.com/dc/html/paypal_flatau.htm to find out more. Here are some pictures from the Conference. 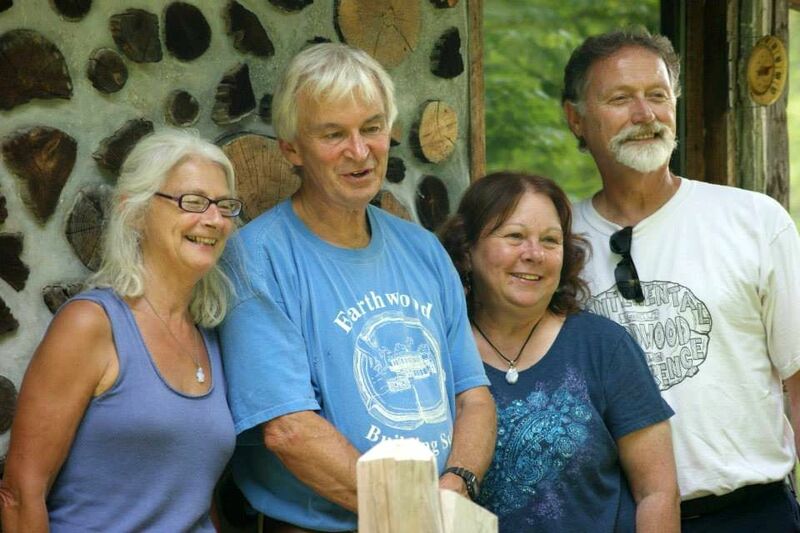 Above: Jaki & Rob Roy, Becky & Richard Flatau. 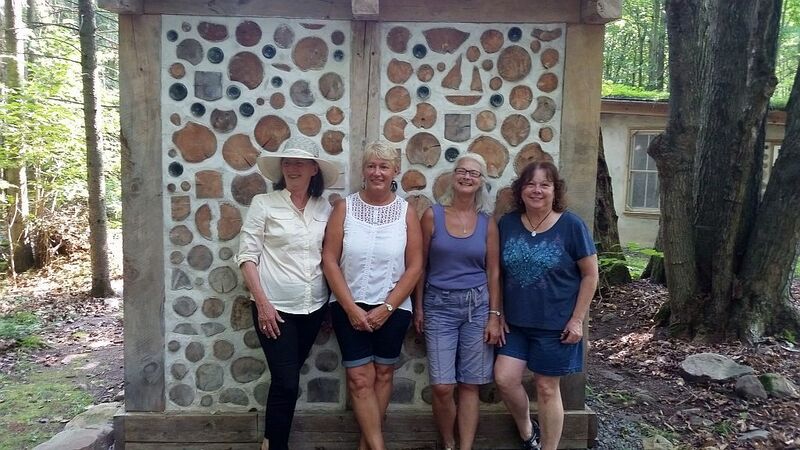 Angelika, Nancy, Jaki & Becky striking a beautiful pose. 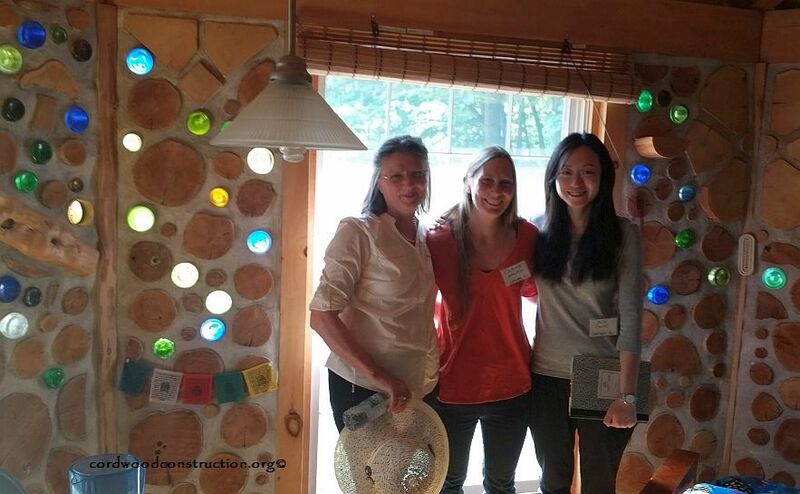 Angelika, Clare and Lulu at Stoneview. 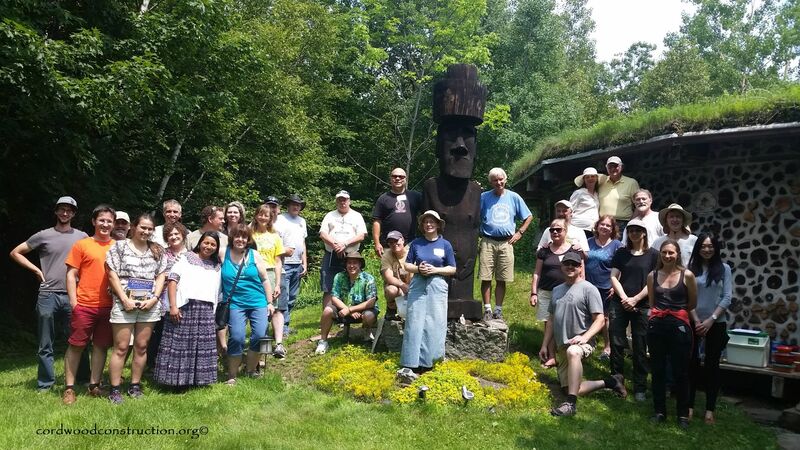 The Cordwood Conference attendees pose in front of Rapatooee Louie. A beautiful corwdood wall in progress at the home of Chris and Cat Ryan. 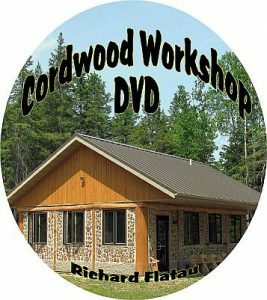 A cordwood workshop was held there after the Conference. 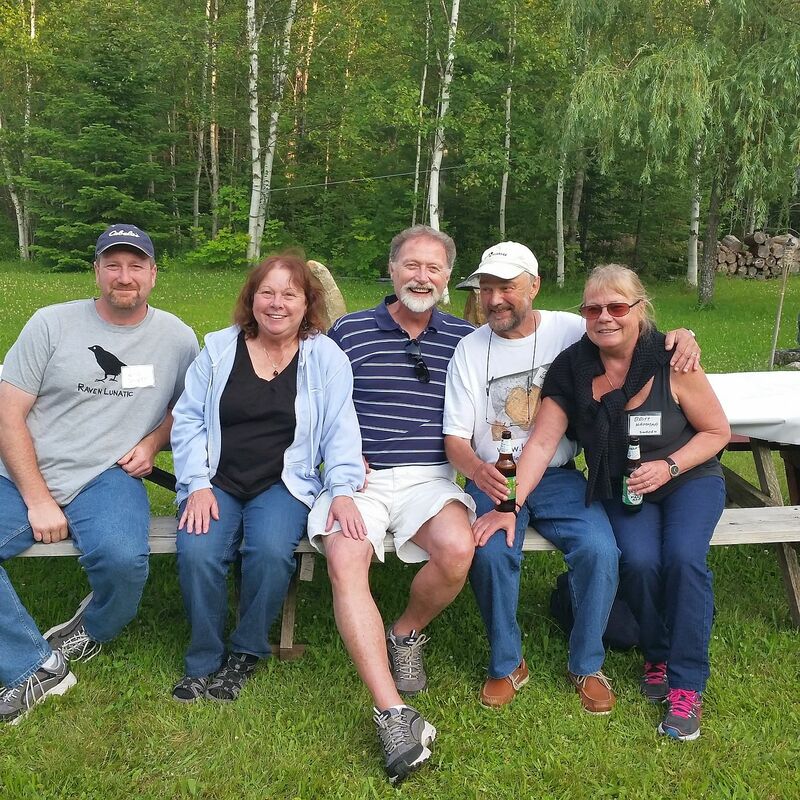 Conference attendees having fun at the Saturday social at Earthwood. 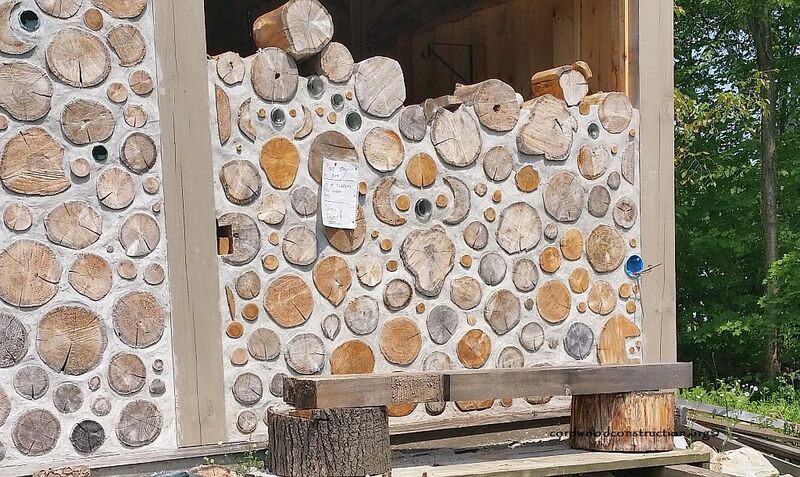 Bruce Kilgore and Nancy Dow were gracious host/hostess in offering their incredibly gorgeous Ravenwood cordwood home for tour. More on the Kilgore’s homestead in another post.